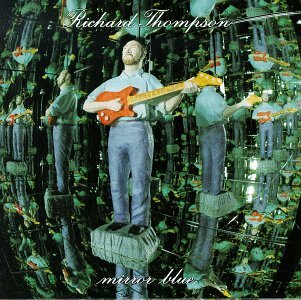 Richard Thompson Issued "Mirror Blue" In 1994, More Than Two Years After The Critically-acclaimed "Rumour And Sigh" Album Was Released. It Was Produced By Mitchell Froom Again. It remains something of a mystery why Richard Thompson did not capitalize on the success of “Rumour And Sigh” and took more than two years to deliver his next album. Well, it is a mystery only if you are not familiar with the man himself, that is. Thompson did never care about making “commercial” albums, and he has never player by the rules of the industry either. His music is something that is created in a context where expressions like “hit single” or “chart success” are either redefined or absolutely discarded. And there is no clearer example of that than the album he was to finally release long after “Rumour And Sigh” had run its course. 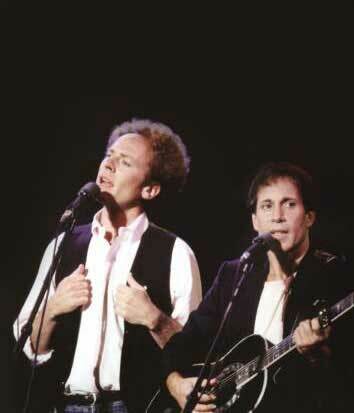 The album was to be titled “Mirror Blue” (after a poem by Lord Tennyson which is quoted on the booklet), and it would be the penultimate album that Mitchell Froom was to produce for Thompson. Many would point his fingers at the finished album, and cite Froom’s production as the reason it could not dent the charts. But today we know that Richard was the main instigator for the somehow disconcerting drum sound that was employed in the end. If anything, it seems as if Thompson was doing all he could to decommercialize the album, as if the successes attained by “Rumour And Sigh” were a cause of concern. More than anything, one is left feeling that Thompson came up with a disc to please his long time fans after having created one that pleased casual listeners, as if all he wanted to do was prove he could have mainstream success if he wanted to. The themes he broaches are true to his best compositions – people who feel too much in too limited ways like the character from “For The Sake Of Mary” (and whose narrowness ultimately seals his fate) and delinquents like Shane and Dixie (two non-hopers who might as well have been called Sid and Nancy) are some of the protagonists you get to know during the disc’s duration. You feel you have met them before in different guises if you have been a listener of Thompson’s albums for a while, but there are topics which are infinite in themselves. Leaving aside the inherent nefarious thrill of such stories, I believe that tales about wrongdoing are always alluring if only because we believe deep down inside that by being exposed to other people’s faults me might be eventually able to address our own shortcomings. That might explain the popularity of songs like “1952 Vincent Black Lighting” from the previous album, and the heart-rending “Beeswing” from this one. “Beeswing” is a delicate Celtic ballad in which the fierceness of young love is demolished against the ineluctability of maturing. The final verse is bestial in its desolation. The listeners who have been there themselves will sink low for sure, and younger listeners will have one of the harder-hitting reality checks of their lives. The short “I Can’t Wake Up To Save My Life” is also a number that will be too close for comfort for many. It deals with the return of one of these former romantic acquaintances that end up embittering a good part of our beings, and the surrealism of the lyrics (the woman comes back like something out of a Hammer horror movie) nails the point like a piledriver in your head. There are three songs that have to be grouped together if only because they display a jazz sensibility which works excellently in each and every case. They are “Mingus Eyes”, “Easy There, Steady Now” and (my personal favorite) “I Ride In Your Slipstream”. And if you are looking for a full-blooded rocker try out “Mascara Tears”, a song that (alongside “I Can’t Wake Up To Save My Life) has the best soloing of the whole record. The album ends on an intimate note with the all-acoustic “Taking My Business Elsewhere”, yet another of these numbers in which being a loser is taken to the most pathetic extreme that could be imagined. There is frankly very little to dislike on “Mirror Blue”. The hotrod song “MGB-GT” does not really do a lot for me, and “Fast Food” is just a little too gross (even when it tells the truth and nothing but the truth). But the album taken as a whole is a true reminder of Richard’s unerring skills as a master composer and storyteller, and I highly recommend it.